If you stop and think about it, heroes and heroism today seem to be ubiquitous in everyday life. Be it the well-known discount grocery store looking for the “BBQ hero” of the season, the volunteer fire department recruiting new members with the opportunity to perform heroic deeds, or the flood of super hero movies (and the corresponding computer games and other spin-offs) – the heroic seems to be especially attractive in the popular media landscape despite the repeated rejection of the heroic many times in the modern and postmodern world. 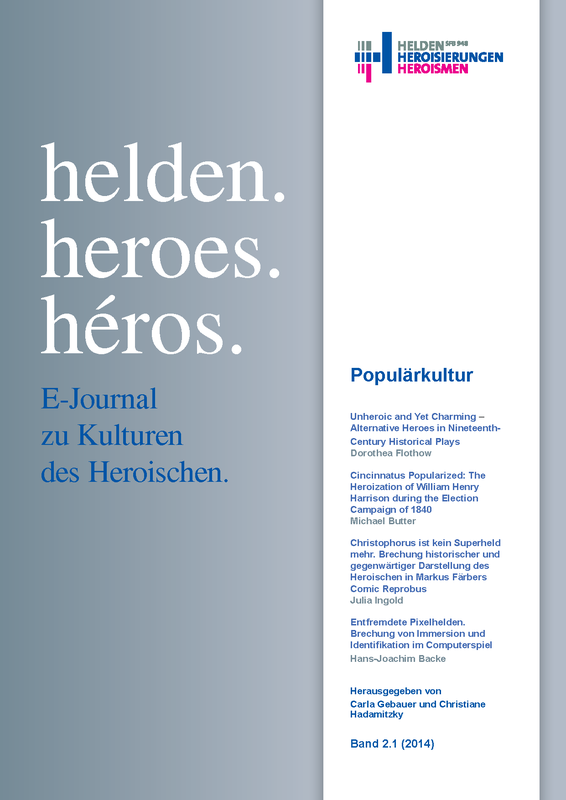 Hence, in its second issue, the e-journal helden. heroes. héros has ventured into the realm of popular culture.